All our professionals at Stanley M. Prince, DMD maintain the highest levels of accreditation and pursue ongoing education to stay abreast of the latest trends in dentistry. Dr. Prince is a graduate of Camden County High School, the University of Georgia (Go DAWGS!!) with a BS in Biology and graduated from the Medical College of Georgia where he received his Doctor of Dental Medicine (DMD) degree in 1991. Dr. Prince enjoys giving back to his community –both to his home of Camden County and to the medical community as well. 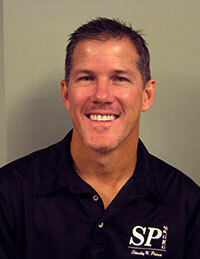 He is an active member of many dental societies including the Academy of General Dentistry, Georgia Dental Association, American Orthodontic Society, and the American Dental Association. Dr. Prince and his staff participate annually in “Project Smile”, a mission that delivers much needed dental care to hundreds of children in Belize, C.A... Dr. Prince gives back to his community through his work with the local Kiwanis club of St. Mary’s. He is also a member of the First Baptist Church of Kingsland. He enjoys spending time with his wife, Julie, and their children, and in his spare time he enjoys hunting, fishing, and riding his motorcycle. 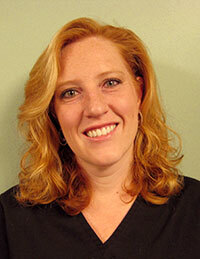 Sarah became a Registered Dental Hygienist in 2007 and she joined our team in April 2012. She is exceptionally skilled in taking care of your teeth and enjoys helping others learn the proper way to maintain your “smile”. Also, she is up to date on the latest out there in dentistry (periodontal therapies, tooth whitening, invisible braces, veneers) and will be glad to help with any questions you may have! Sarah enjoys traveling, reading and spending time with her family. Christi has been in dentistry since 1990 and she loves working with people and making them smile! Christi’s work is not a job to her but a passion! Helping someone regain their confidence with a healthy and beautiful smile is a wonderful feeling. Christi is married with two children and has lived in St. Mary’s area for 18 years and enjoys the small town life.